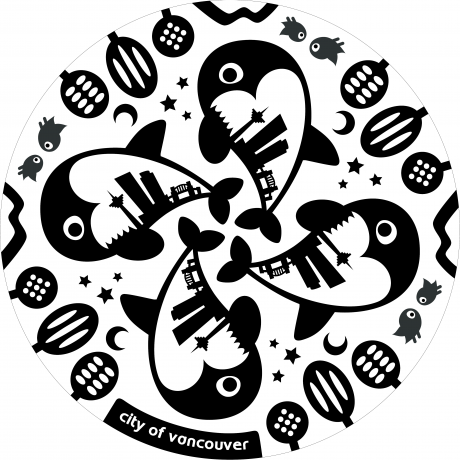 This design showcases the spirit of Vancouver, with the focal point being the orcas. A skyline of the city is featured in a heart-shaped area on them. Circling the orcas is what we are proud of on the west coast -- nature -- with trees, birds and mountains. Overall, this design screams, "I love Vancouver!"